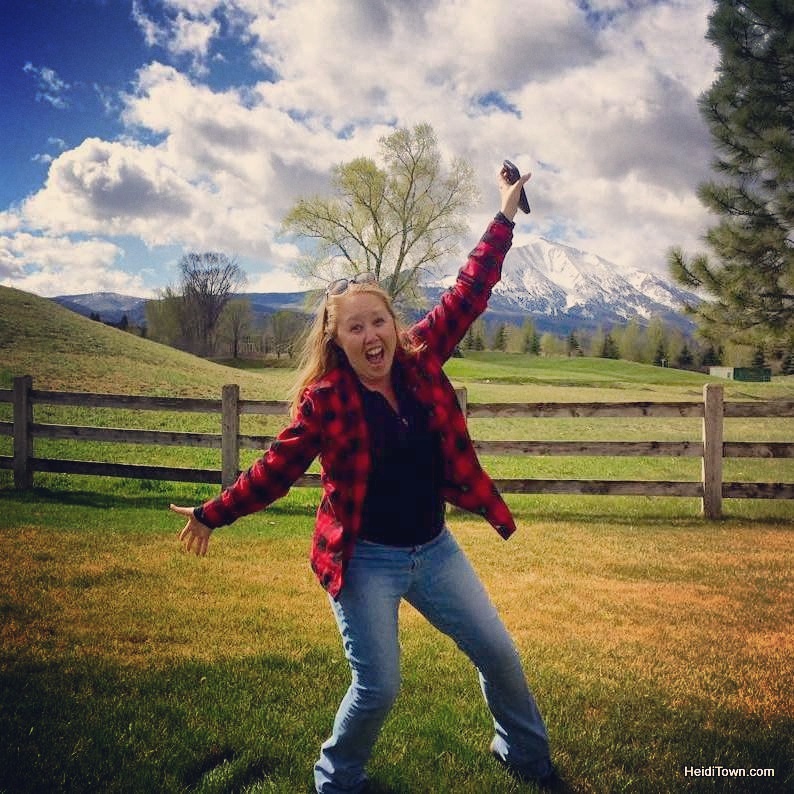 Breckenridge is a town we know well and many of my readers do too. So on our last trip, we decided to do some things in Breckenridge that we’d never done before. That included the fat bike tour that I wrote about earlier this month. 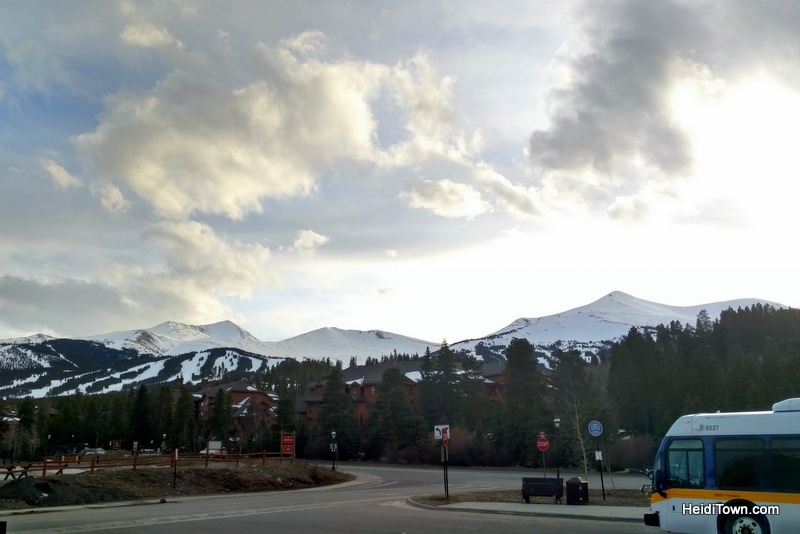 When we weren’t biking or walking, we got our Breckenridge via the free bus service. It goes everywhere you want to be! It also included staying at a brand new hotel, the Residence Inn by Marriott. It’s not only new to us, this hotel is new to Breckenridge, having opened this winter on the south side of downtown. Its location is ideal for easy exploration of Breckenridge on foot. 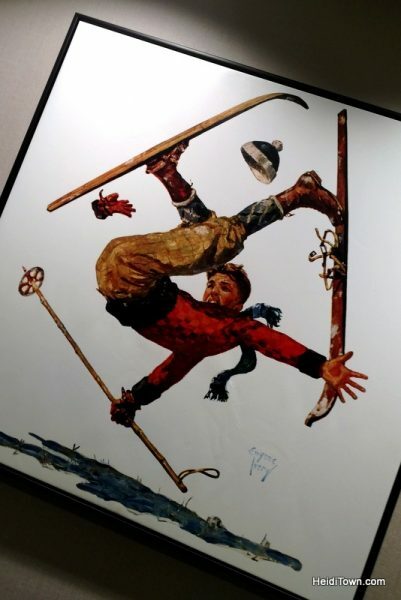 Fun wall art at Residence Inn by Marriott, Breckenridge. The Residence Inn has cool, contemporary interior design, but retains mountain touches and odes to Breckenridge’s past. The best part of this hotel, for me, was the pool. If there were a “Best View from a Mountain Pool” award, this one would surely win. As part of our “new” look at Breckenridge trip, we went on the Behind the Swinging Doors Saloon Tour with the Breckenridge Heritage Alliance. While we’d been into nearly all the bars on this tour, we’d never heard the many stories associated with the town when it was a rough and tumble mining community in the 1800s. Our tour guide, Kathy, had a rather fantastic hat. One interesting fact about Breckenridge is that many of the original buildings are not located in their original locations. Through the years, buildings were moved around in order to suit the needs of the community as they arose. Inside the historic Gold Pan Saloon. One of a few bars that claims to be the longest continuously running bar in the Rocky Mountains. 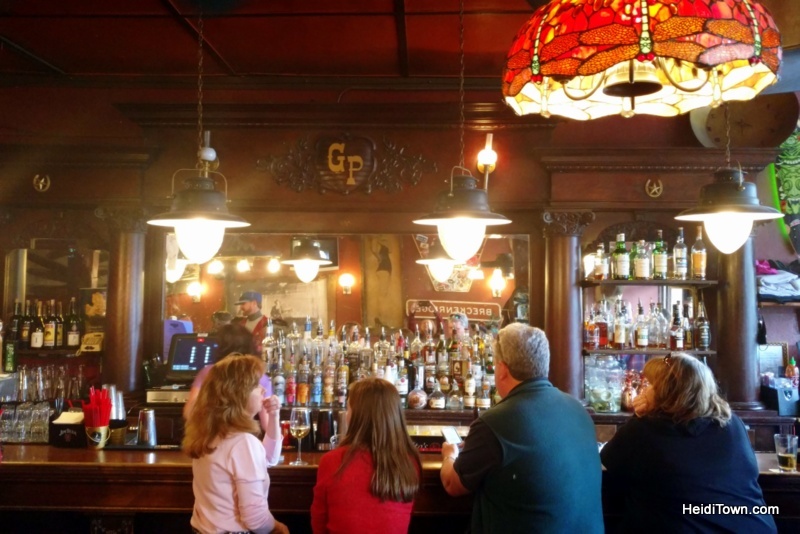 The saloon tour involves stops at various downtown watering holes that are still popular today. It also includes entertaining stories and time for those taking the tour to imbibe a drink or two along the way. 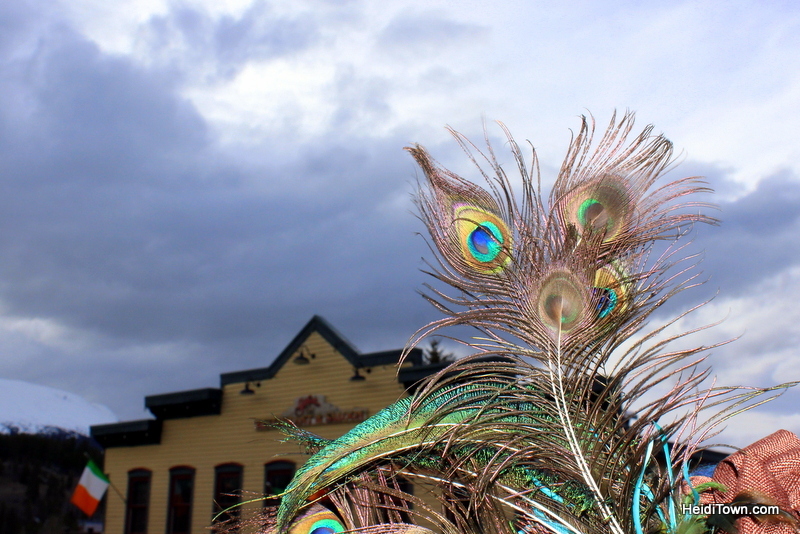 The tour is for adults only (21+), and at just $15, is a fun way to expand your knowledge about Breckenridge and Colorado history while enjoying a cold beer or whiskey shot. 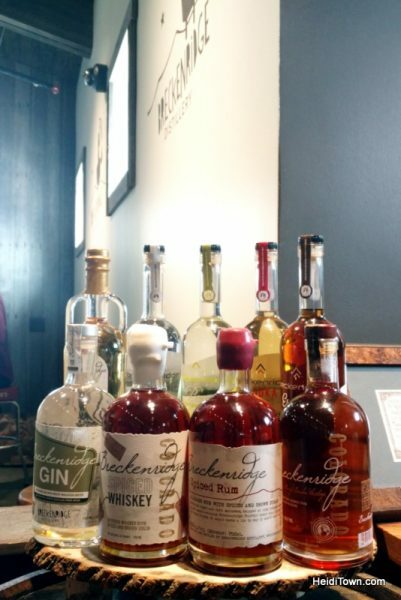 While in town, we toured the new Breckenridge Distillery location on the north side of town (we accessed the area via our fat bike tour). While the distillery has been around for quite some time, we’d never been on the tour, which features tasters of their booze and a behind-the-scenes look at this big operation. Tours are free, but please tip your tour guide. During this weekend trip, we also ate at the brand new Breckenridge Distillery restaurant, a dining experience I wrote about in its entirety here on The Heidi Guide. Back at the Residence Inn after an exhausting first day, we ordered wings at the hotel bar, Base Camp Lounge. 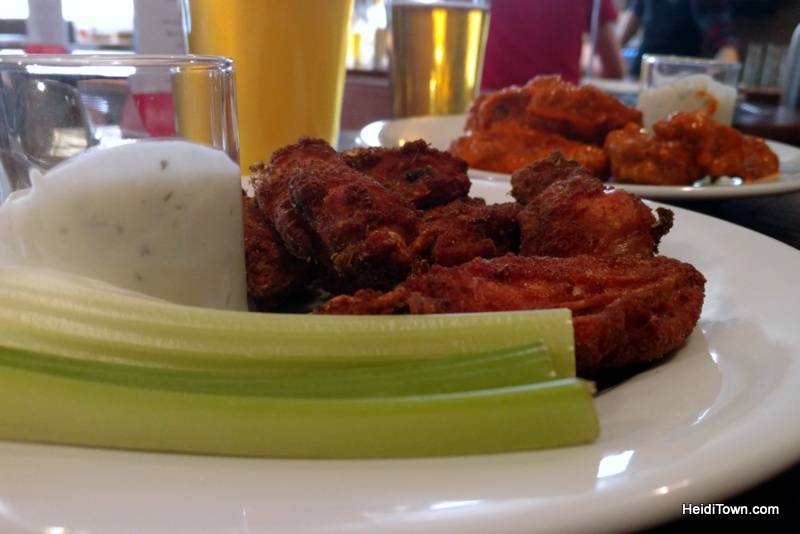 They were delicious and the bar menu is full of great Colorado craft beer as well. On our two night stay, we ate breakfast at the hotel every morning; not because it was free, but because it was so good. It’s one of the best complimentary breakfast buffets we’ve encountered in our vast travels around Colorado. We didn’t bring our dog Xena, but we could have because the Residence Inn is a dog-friendly hotel property in Breckenridge. Thank you to GoBreck and the Residence Inn by Marriott in Breckenridge for hosting us on this weekend trip. 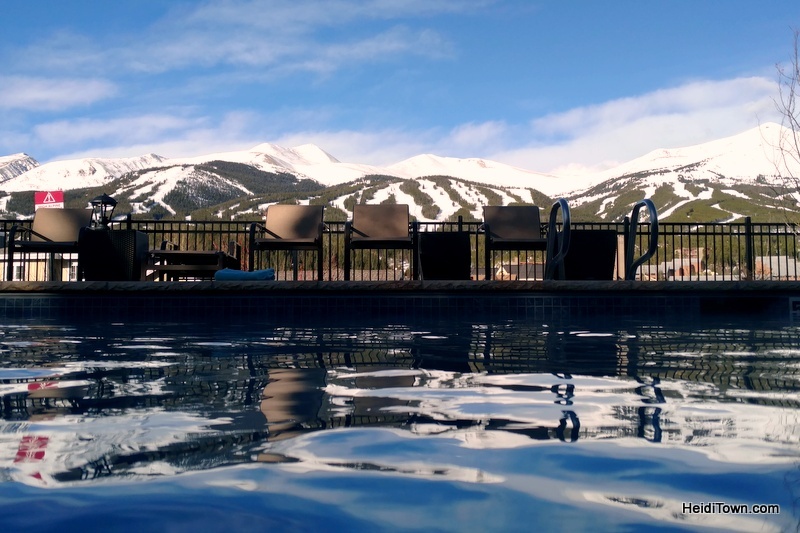 Hey Heidi – Just a little FYI: I will be in Breckenridge (my home town) on May 3-6 as part of the Creative Industries Summit and an adjacent to the Downtown Colorado Conference. Yes, I will have two art cars – “EyeVan” and “Bohemian Rhapsody” at the Ridge Street Art Square. Please atop by and say hey if you’re in town and/or let your followers know about the fun. That conference sounds fantastic. Maybe I’ll look into attending it. I believe it was in Carbondale last year? Thanks for the info and thanks for stopping by town! I will pass it on.